Mr. Benham began his career in Education at Zion School in the Fall of 1972, his one and only school of service. While employed at Zion he drove a bus, taught language arts and math, and coached first through eighth grade physical education and athletics. During his years of coaching he won numerous Adair County championships and ORES state titles. While still coaching he became principal in 1988, and in 1991 he moved into the position of superintendent. After forty-six years of dedicated service to the students and staff of Zion School, Mr. Benham decided to retire, storing away his trusty old paddle and well-worn green towel. We know he put his heart, soul and mind into this school. Stepping aside wan't an easy decision for him. 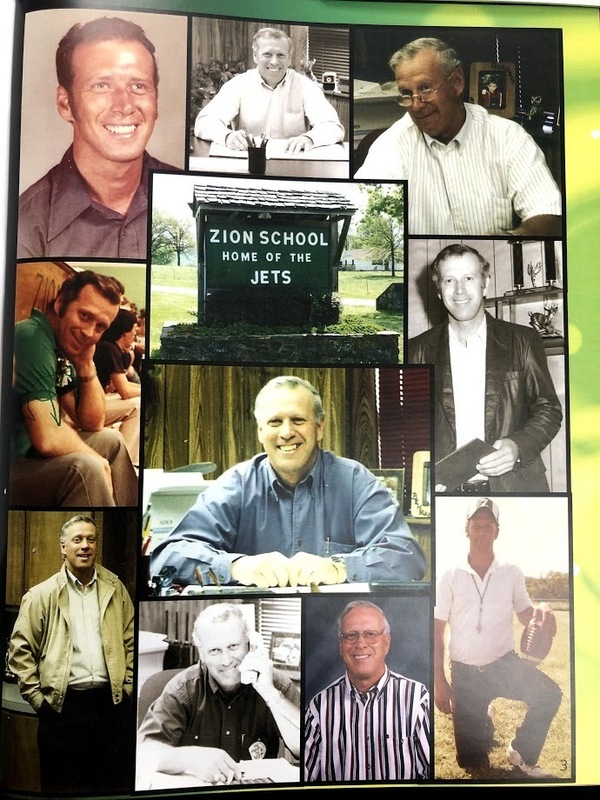 but we know Mr. Benham will always be a part of Zion School because his integrity, discipline, and faith have made Zion School what it is today. Enjoy your retirement and may God always bless you for a job well done!